While lamenting his death, one of Humayun Azad's illustrious classmates wrote, "His death is a reminder of the tragedy of the Greek god Icarus." On a poetic plateau, this may be one way of expressing Humayun Azad's rise to fame and his sudden demise. However, we do not live in myths or epics, let alone be affected by their magic or overwhelming sense of fatality. As humans we tread on the treacherous ground of reality, where our own sets of interests and aspirations are constantly being challenged by those of others'. 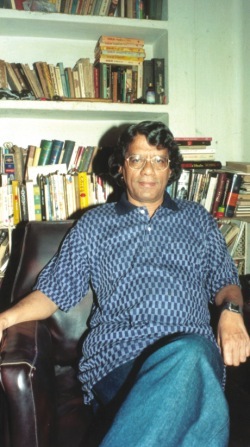 Writer, poet, academic Dr Humayun Azad had to deal with real enmity in all its sinister implications. Although, Azad was a poet himself, for him, there was no room for poetic gesture to characterise his own plight that befell him since the machete attack on February 27, 2004.